REDWOOD HIGHWAY, Ore. & Calif. – We spent the night in Grants Pass, Ore., because it bills itself as the Gateway to the Redwoods. Technically it is, I suppose, but it was still quite a drive to the big trees. There was a forest fire raging 15 miles away and the town, as filled with smoke as it was with firefighters getting a few hours sleep between shifts in motels that proclaimed their thanks on every No Vacancy sign, was as far as I could go that night. Scanning the news before bed, we were given advice on where to avoid the smoke: Newport Beach, near Yaquina Head, or Portland. There were more wildfires farther south, but on a road trip there is no going back. The luck of travellers and vagabonds was on our side: We spent the day between and upwind of the fires, watching with anticipation as we entered the Redwood Highway and the forest grew thicker and tree trunks wider. “We’re not even at the Avenue of the Giants yet,” Melani grinned. 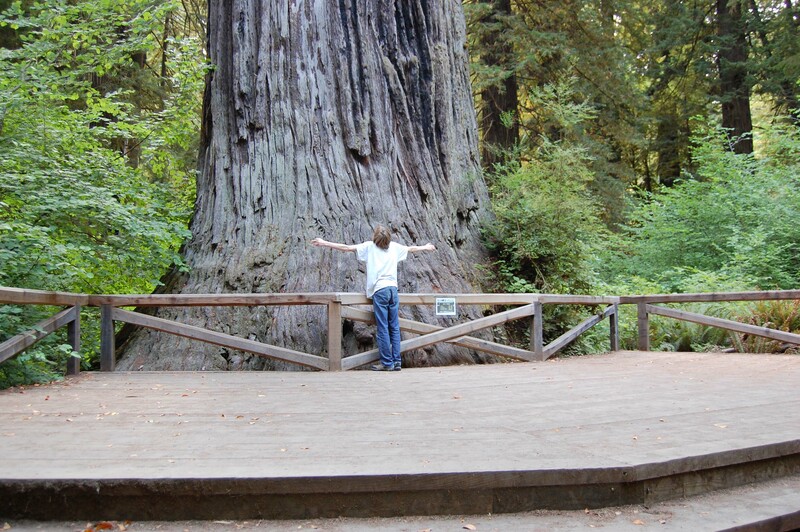 Tree-hugger Trev is stymied by Big Tree along the Redwood Highway. Highway 101 runs through hundreds of kilometres of virgin, protected redwood forests, vaguely parallel to the interstate. These trees are hundreds, some thousands of years old, and ridiculously tall – the tallest tree in the world is here, six storeys taller than the Statue of Liberty. 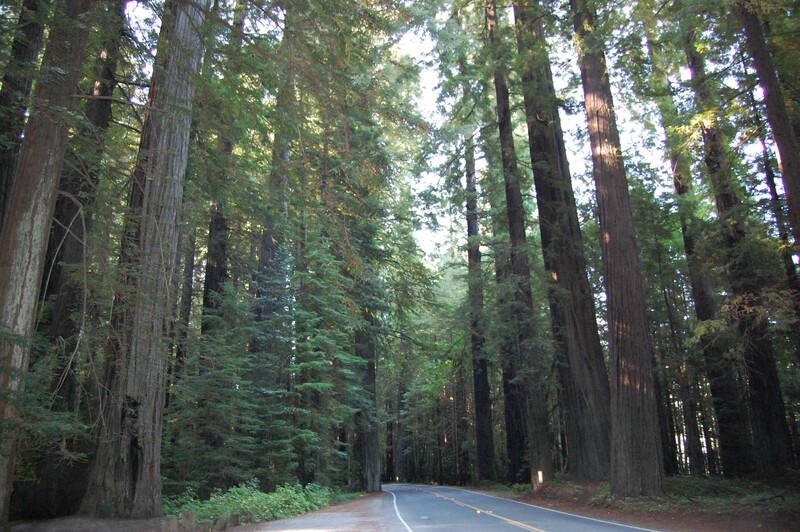 But this drive wasn’t about statistics – it wasn’t even about fandom, since the Endor scenes from Return of the Jedi were filmed here – it was about unparalleled beauty and a special kind of awe. It was about seeing something so much bigger than us, we didn’t have any words. And when we don’t have any words … something spectacular has truly happened.